Nathaniel Hawthorne’s Scarlet Letter is a powerful short-story about the power of guilt. Hester Prynne was prosecuted in a New England Puritan town as an adulteress and had to wear a Scarlet A on her clothes as a life-time of punishment for her sin. She refused to reveal the name of the man with whom she had committed adultery (and had a baby). The man just happened to be the local pastor, Arthur Dimmesdale. He did not go public with his sin; it ate away at him and caused him to literally cut himself. He carved a letter A into the skin of his own chest, which no one saw until his death. It should be mentioned that there is such a thing as false guilt. False guilt is when we feel guilty for something we did not do, or something we were not responsible for. False guilt can be very powerful and produce great shame. Maybe when you were young, it was strictly enforced that you were to wash hands before a meal. Even now, years later, you may feel guilty if you don’t do it. Perhaps you survived a bad accident or disaster, in which others were killed or injured, or a disease from which others have died. You may feel guilty that you survived. False guilt is also often the sad result of being abused emotionally, physically, or sexually, when we were young. Unbelievably, we are often left with guilt and shame for the sins committed against us by the perpetrators. It may take time to work through this with a counselor or with a trusted friend. What can ultimately bring healing is to start believing the truth that you are not the guilty party! However, much of the guilt that we experience in our lives is true guilt over something we have done. So, let me ask you that question again: what do you do with your guilt? What do you do with those feelings of shame or remorse that haunt you? We all have our coping mechanisms. Someone has likened dealing with guilt to wrestling an octopus in a dark aquarium at midnight. 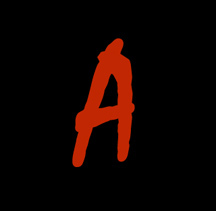 The Scarlet A on Hester’s dress and the one carved into Arthur’s chest represented the crimson stain of their guilt. “O to be forgiven, to have this letter taken away,” Hester cried. God said through the prophet Isaiah, ‘Come now, let us reason together,’ says the Lord. ‘Though your sins are like scarlet, they shall be as white as snow; though they be red like crimson, they shall be like wool’ (Isa 1:18). The scars and the blood… Oh, how we need the good news of the gospel of forgiveness! PS. Many of you know that I will be stepping down as Pastor of Community Fellowship Church on Aug 3 and will be assuming the position of Interim Chaplain of Wheaton College (IL) on Sept 2. If you are presently getting my blog via CF’s Friday Briefing that will no longer work, for obvious reasons. If you wish to continue to receive my weekly “Just a Thought,” just click the “follower” button at the end of my blog and you will receive it each week.